Corporate Office Properties Trust, a Columbia-based office real estate investment trust, announced that Jay H. Shidler and Clay W. Hamlin III will step down from their respective positions as chairman and vice chairman of the company’s Board of Trustees, effective at the upcoming shareholders’ annual meeting on May 9. They will remain as board members if elected by the shareholders. Shidler has been board chairman of COPT since 1997. He will be succeeded by Thomas F. Brady, a board member since January 2002. Brady was formerly chairman of the board of Baltimore Gas & Electric Co. and executive vice president – corporate strategy at Constellation Energy Group before it was acquired by Exelon Corp.
Baltimore County’s Pedestrian and Bicycle Advisory Committee (PBAC) is seeking community input as they begin to move forward on implementing a number of projects identified in the recently adopted Eastern and Western Pedestrian and Bicycle Access Plans. (The plans are available online at www.baltimorecountymd.gov/bikeped as PDF files.) Members of the public are invited to voice their preferences on which projects to fund first at a citizen input meeting on Tuesday, April 16 at 5 p.m. in the Jefferson Building Hearing Room (Room 104), 105 West Chesapeake Avenue, Towson, MD 21204. The PBAC plans to take a closer look to identify initial projects that will provide county citizens with the greatest benefit at the lowest cost, using state, federal, and private grants. For more information, contact Kathy Schlabach, Baltimore County Department of Planning, at kschlabach@baltimorecountymd.gov or call 410-8873521. Francesca’s, a trendy women’s apparel and gift shop, will open a new boutique on Saturday at Hunt Valley Towne Centre. The new, 1,225-square-foot boutique will be located on the retail center’s ground level, next to Claire’s and Pearl Vision, according to landlord Greenberg Gibbons. Francesca’s offers an eclectic, hand-picked collection of upscale clothing, handbags, jewelry, accessories and other one-of-a-kind treasures. Erickson Living, the developer and manager of the Charlestown retirement community in Catonsville, announced the opening of the Edgewood, an apartment building containing 55 renovated apartments ranging from 756 to 1,365 square feet. The Edgewood has 10 different floor plans in a mix of one- and two-bedroom apartment units. Upgraded standard features include granite countertops, lighting and plumbing fixtures and stainless appliances. Many of the apartments feature screened-in porches overlooking a nature trail or courtyard. Refundable entrance deposits for the building start at $217,000, and monthly service packages start at $1,975. A 360-degree tour of three of the floor plans is available online at www.EricksonLiving.com. For information, call 410-737-8830. Howard County Housing will begin accepting applications for the April enrollment period for the county’s Moderate Income Housing Unit program on Monday. The open enrollment period will end on April 30. The MIHU program is an inclusionary zoning program that requires developers of new housing in certain zoning districts to sell or rent a percentage of the new dwelling units to households of moderate income. The program offers quality new homes at reduced sale prices and rents to income-eligible families. HCH will hold two Buyers and Renters Workshops to explain the program’s eligibility requirements and application process for prospective homebuyers and renters. One workshop will be on April 13 at 10:15 a.m. at Long Reach High School in Columbia, and the second will be on April 24 at 6 p.m. in the Gateway Building in Columbia. 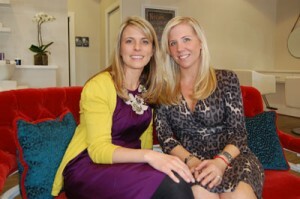 Kate Boyle Taylor, left, and Joy Robinson Singer are the co-owners of the new hair-styling salon. Valley Village Shoppes in Owings Mills is the setting for an unusual new store: the Hot Air Blow Dry Bar, a new-concept hair boutique that offers premium washing and blow-drying services. Jointly owned by Joy Robinson Singer and Kate Boyle Taylor, the hair salon provides “quick-fix” hair styling for women, men and children, and is positioned as an alternative for expensive and time-consuming appointments at traditional hair studios. Prices for hair washing and blow-drying are $35 for women and $25 for men and children. Each appointment lasts approximately 45 minutes. Valley Village Shoppes at 9101 Reisterstown Road in northwest Baltimore County is a 48,000-square-foot retail center managed by David S. Brown Enterprises Ltd.
Merritt Properties LLC’s Schilling Green II office building has won a Green Project of the Year award from the Baltimore Metro chapter of the Associated Builders and Contractors. Completed in June 2012, Schilling Green II is a four-story, Class A office building located in Hunt Valley – the final installment of Merritt’s Schilling Square office park. Merritt is currently pursuing LEED Platinum certification from the U.S. Green Building Council for the building. The Platinum certification is the highest level of the Leadership in Energy and Environmental Design standard conferred by the USGBC. SECU, Maryland’s largest state-chartered credit union, has been ranked first in the state and 29th nationally on a list of the Top 300 First Mortgage Granting Credit Unions. The Linthicum-based financial cooperative SECU jumped four places from 2012’s 33rd place ranking on the annual list of mortgage-granting credit unions compiled by the American Credit Union Mortgage Association. According to data compiled by ACUMA, SECU originated $469.5 million in 2,250 fixed and adjustable first mortgages through the third quarter of 2012. SECU also sold $175.7 million in first mortgages over the same period. Outstanding fixed and adjustable first mortgages totaled $969.9 million, while real estate loans sold but serviced by SECU topped $522.6 million. The new ranking came only a few weeks after SECU was named to a list of the 50 largest credit unions in the U.S. compiled by SNL Financial. Mahan Rykiel Associates, a Baltimore-based landscape architecture, urban design and planning firm, has won an Honor Award from the Maryland and Potomac chapters of the American Society of Landscape Architects for its work in designing Pierce’s Park, a waterfront park that occupies a 1-acre site at Baltimore’s Inner Harbor. The park, located between the Columbus Center and Eastern Avenue, is dedicated to the memory of Baltimore contractor and civic leader Pierce J. Flanigan III, and was built with the help of donated services and $2 million raised by Susan Flanigan, wife of Pierce Flanigan, and her team. Pierce’s Park was built as a sustainable space that includes indigenous trees and native plantings, as well as bio-retention facilities that will educate children about the benefits of capturing runoff. There are sculptures by local artist David Hess, and landscape features that promote play and imagination. Mahan Rykiel will receive the award on May 10 at the ASLA Annual Banquet at Historic Savage Mill. Liberty Property Trust has retained Cushman & Wakefield as the exclusive listing agent for Longview Executive Park’s three office buildings at 307, 309 and 311 International Circle in Hunt Valley. C&W’s Tim Jackson, Courtenay Jenkins, and Matt Melnick will market the property for lease on behalf of the owner and landlord. The three buildings contain 256,961 square feet of office space, of which 45,200 square feet is currently available for lease. 307 International Circle, a six-story office building, was fully renovated in 2005; 309 and 311 International Circle are single-story office buildings. The business park is located near the Hunt Valley light rail station and Park and Ride, and a half-mile from Interstate 83. Home2 Suites by Hilton, an all-suite hotel brand designed for business travelers and extended-stay guests, has opened its third property in Maryland, the Home2 Suites by Hilton Baltimore/White Marsh. The four-story, 108-suite hotel is owned by White Marsh Hospitality I LLC and managed by Baywood Hotels Inc. Located at 10465 Philadelphia Road, the Home2 Suites by Hilton Baltimore/White Marsh is positioned close to Interstate 95 in the White Marsh business district. The property is located minutes from the White Marsh Mall, and close to Oriole Park at Camden Yards, the National Aquarium and The Avenue at White Marsh. Amenities include an indoor swimming pool, a combined laundry and fitness area, a free continental breakfast, and an outdoor walking trail. Home2 Suites by Hilton currently operates 17 hotels and has nearly 70 properties in its development pipeline. The Federal Home Loan Bank of Atlanta announced that it will award $21.3 million in grants to its member financial institutions and their community housing partners through its 2013 Affordable Housing Program. Up to $500,000 will be awarded per project through a competitive application process. Grants can be used to help finance the acquisition, construction, rehabilitation and development of affordable rental and ownership housing. Potential applicants should work with an FHLBank Atlanta member financial institution to complete the AHP Competitive program application. To view the list of member financial institutions, go to www.fhlbat1.com. The application deadline is April 8. Baltimore-based Wexford Science & Technology LLC, a privately held real estate investment and development company, is being acquired by BioMed Realty Trust Inc., a San Diego-based real estate investment trust, for approximately $640 million. Wexford will become a wholly owned subsidiary of BioMed, according to the announcement of the deal. Wexford owns about 1.6 million square feet of space, and is developing an additional 935,000 square feet, in university-affiliated research parks and health care systems. Among Wexford’s holdings are two research buildings and a parking garage at the University of Maryland, Baltimore’s BioPark in the 800 block of West Baltimore Street. The transaction is expected to close in the third quarter of 2013. The Maryland Energy Administration announced the second round of funding for its “Game Changer Competitive Grant Program,” a program created to provide cost-sharing grants for innovative clean energy generation technologies and market strategies in Maryland. This round of funding is focused on geothermal heating and cooling as well as bio-energy projects. Applicants will be evaluated on the merits of their energy production, cost-effectiveness, market potential, project viability, cost share, project performance measurement and verification methodology, and project visibility. Applications are due by April 22. Most grants will range from $25,000 to $250,000. Funding comes from public auctions of carbon credits through the Regional Greenhouse Gas Initiative. Directors of the Baltimore Development Corp. on Thursday approved a developer’s request for a tax break valued at $107 million to help develop the local headquarters of Exelon Corp. at Harbor Point. The BDC’s board of directors sent the request by Harbor Point developer Michael Beatty for the tax-increment financing, or TIF, on to Mayor Stephanie Rawlings-Blake and the City Council. A BDC spokesperson said details of the TIF were not being made public. Beatty had said earlier he would request $150 million for the TIF. A council committee will hold hearings on the TIF request later this spring. 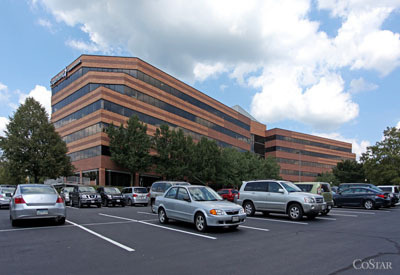 MacKenzie Commercial Real Estate Services, of Lutherville, has been selected by Liberty Property Trust as the exclusive listing agent for a significant portion of Liberty’s Hunt Valley portfolio. MacKenzie’s Senior Vice President/Principal Wiam W. Whitty Jr., Vice President F. Joseph Bradley III and Vice President Matthew B. Mueller will represent the $6.9 billion real estate investment trust’s Class A office buildings at the North Park Business Community. The team will provide leasing advisory services for three buildings containing 296,370 square feet of space, located adjacent to the Hunt Valley Towne Centre. Marie Gerwig has been promoted to vice president, senior portfolio manager at Manekin LLC. Gerwig joined the Columbia-based, full-service, commercial real estate firm in 1996. 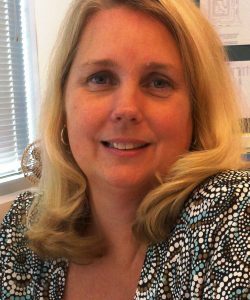 She has more than 23 years of commercial real estate management experience, including operations, budgeting, financial reporting, contracting, construction, project management, leasing and tenant relations. Gerwig currently oversees property managers, administrative staff and maintenance staff in managing the physical property, operations and financial management of a portfolio that includes 2.5 million square feet of Class A office, medical office, flex and retail properties located throughout Central Maryland. 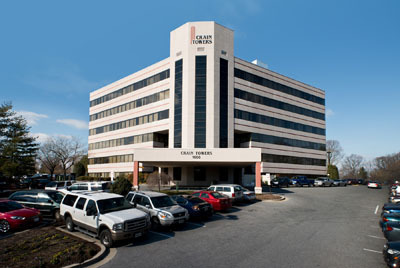 Cushman & Wakefield has been selected to lease space in two office buildings in Glen Burnie. C&W’s Karen Cherry and Matt Melnick are the agents in charge of leasing Empire Towers and Crain Towers. Empire Towers, at 7310 Ritchie Highway, is a 10-story, 146,000-square-foot office building with a variety of suite sizes available up to 13,000 square feet for a full floor user. Sawhney Commercial LLC, which purchased the building in December 2012, is planning major renovations, including new lobby, restrooms and common area finishes, as well as exterior improvements. Crain Towers, at 1600 Crain Highway, is a six-story, 74,000-square-foot medical office building whose current tenants include an on-site pharmacy, radiology office, physical therapists, orthopedists and optometrists. 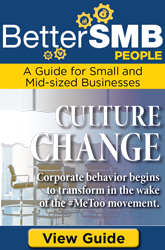 Both buildings are managed by Attman Properties Management Co.
* Mr. Roofer, a plumbing contractor, leased 3,000 square feet of office and warehouse space at the Beltway Business Community, 3701 Commerce Drive, in Arbutus. Mr. Roofer was represented in lease negotiations by José Santana of the Segall Group. * Mr. Basement LLC, specialists in basement waterproofing and crawl spaces, leased 6,000 square feet of office and warehouse space at 832 Oregon Ave. in Linthicum. Lindsay Summerfield of Colliers International handled lease negotiations on behalf of the tenant. * J.A. Lee Cos. Inc., a full-service general construction, electrical and telecommunications company, leased 2,550 square feet of space (1,914 s.f. warehouse, 636 s.f. office) at 152 Blades Lane, Suite P, in Glen Burnie. * Ward Recycling Inc., a used clothing shipping warehouse, leased 12,500 square feet of warehouse space at 821 Oregon Ave. in Linthicum. In all four deals described above, Merritt Properties LLC was represented by its in-house leasing team consisting of Jamie Campbell, Liz Tarran-Jones, Vince Bagli and Steve Shaw.